You can add any number of donations to your basket using the drop-down menu below. 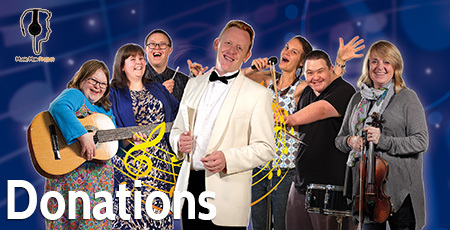 The Music Man Project is run by Southend Mencap and receives its core funding from tuition fees and charitable donations. Please show your support by making a donation towards future development work and the continued provision of facilities for our students. Any amount you can spare will be very gratefully received. Simply add amounts to your shopping cart using the drop-down list until you reach the total you would like to donate. Payments can be made using credit or debit card, Paypal or cheque.